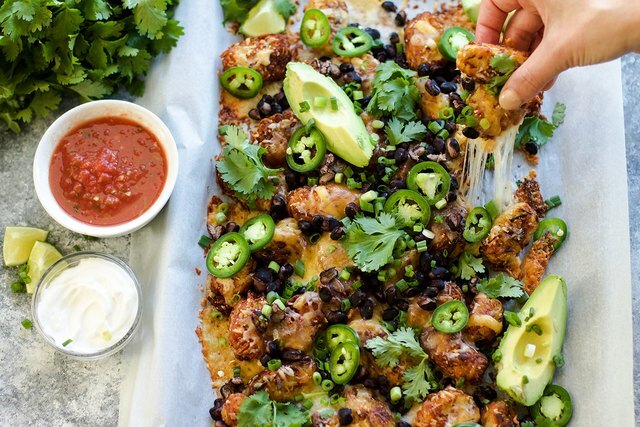 Tater tots are the perfect base for creating an epic nacho platter worthy of any potluck or weekend game day nosh session. (Or really any time you're just plain hungry!) 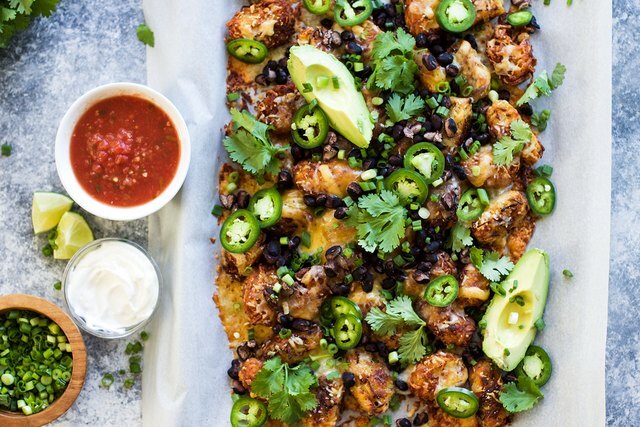 You're going to love piling on your favorite nacho toppings to create this delicious, easy, and addictive, appetizer. Preheat the oven to 350 degrees. Spread tater tots in an even layer on a baking sheet lined with parchment paper and bake for 20 minutes until they are almost done. 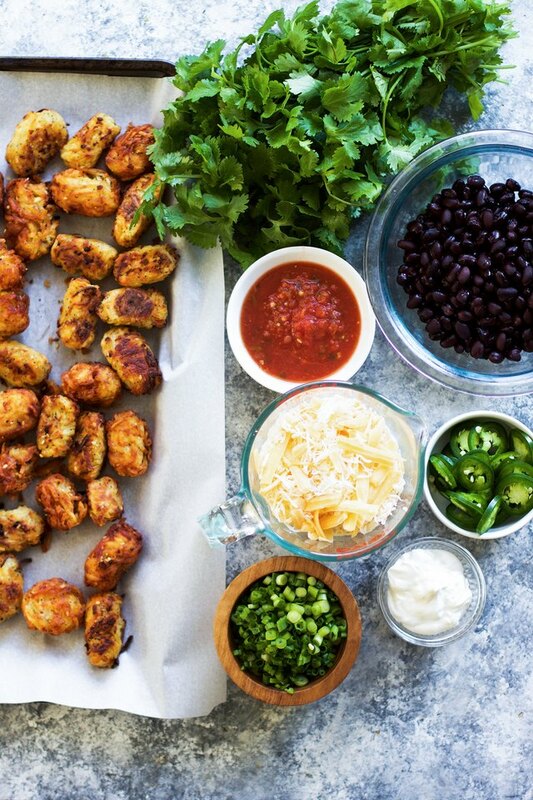 If using non-frozen homemade tots, you can skip this step. 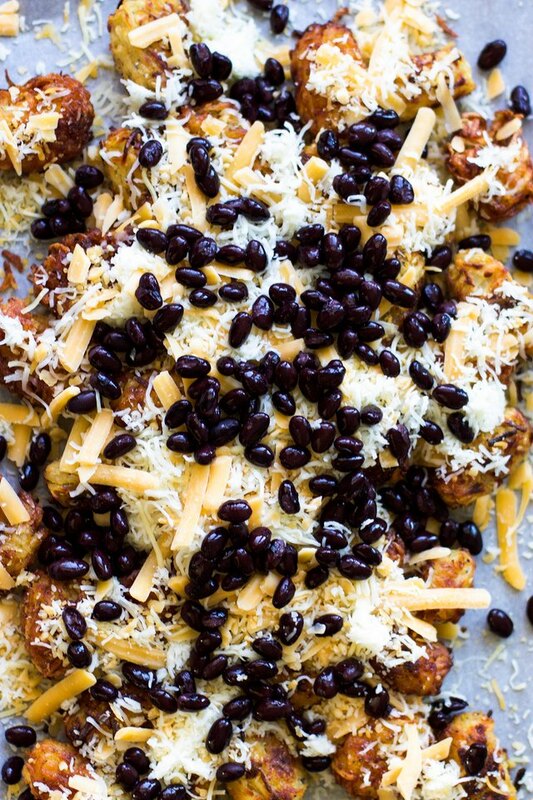 Bake the nachos for another 15 to 20 minutes until the cheese is melt-y, beans are warmed, and the tots have cooked through. If you are adding meat, you would add it at this point as well with the beans and the cheese. 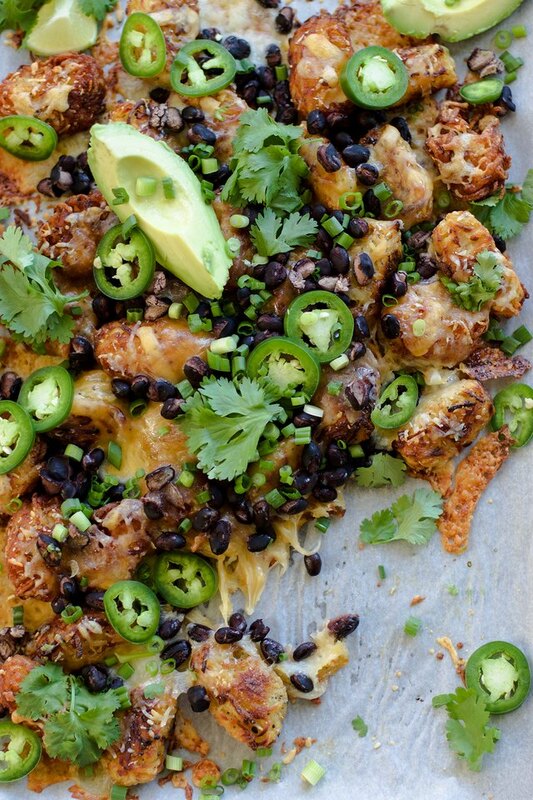 Once the nachos come out of the oven, top with jalapeno, cilantro, green onions, and avocado. Serve immediately with salsa and sour cream on the side. 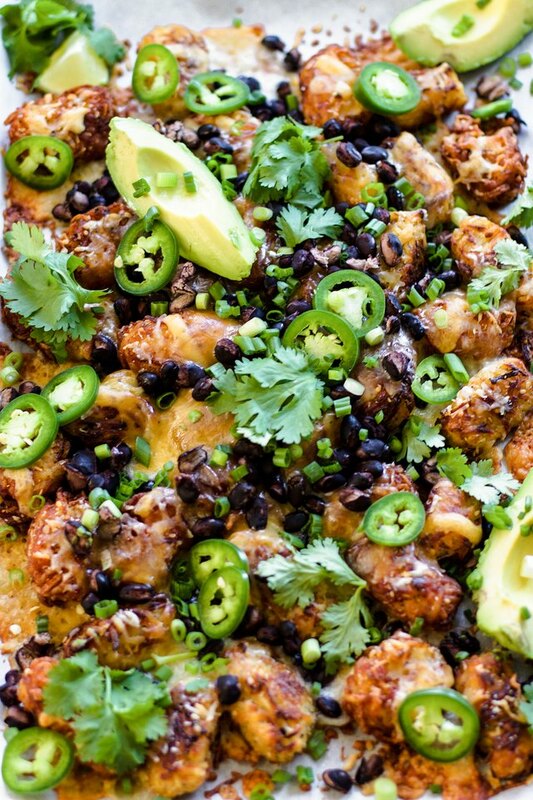 These nachos are seriously addictive and I love that you can switch up the ingredients and flavors to customize them to make them your favorite flavor combinations. Can I Soak Potatoes in Water Overnight Before Making Mashed Potatoes?